This is the 4th Annual Pet Blogger Challenge, and my 2nd time participating. Thank you to Amy at Go Pet Friendly for starting this hop to encourage, motivate and support our fellow bloggers. This year her co-host is Edie from Will My Dog Hate Me. I know I’m a day late doing this, but I didn’t think I was going to have time. When I started reading some of the other contributions though, I found I really wanted to participate. I actually learned some things from last year’s that helped me out a lot, and it’s a very good exercise for re-focusing on where we’re at with our blogs. On to the questions, and I’ll throw in a couple cute photos of the dogs I took this morning to break it up a bit! 1. How long have you been blogging? Please tell us why you started blogging, and, for anyone stopping by for the first time, give us a quick description of what your blog is about. One year and five months now. I had just closed a pet sitting business I was involved in and needed something to fill that void. I always wanted to be a writer and blogging came to my attention as a way to fulfill that dream as well as continuing to do something that involved animals. My blog is about “all things pet related” but my focus has really come to be on my own dogs and cats and my life with them. 2. Name one thing about your blog, or one blogging goal that you accomplished during 2013, that made you most proud. I stepped up the looks of my blog, with a new header and some additions to my sidebar. I spend a lot more time at it. Not only do I post more often but I spend more time promoting it by visiting other blogs. 4. What lessons have you learned this year – from other blogs, or through your own experience – that could help us all with our own sites? To give ourselves a break. A lot of us are just trying to “do it all”, and no one seems to have enough time for that. I’ve backed off a little here and there so that I don’t burn out, and I’ve seen other bloggers doing that also. If you could ask the pet blogging community for help with one challenge you’re having with your blog, what would it be? How can I manage my time better? I never seem to have enough. Weekend mornings are playtime on the bed. Luke likes to let it all hang out when he’s playing! 5. What have you found to be the best ways to bring more traffic to your blog, other than by writing great content? Participating in blog hops. I see a lot more new commenters that come from blog hops. 6. How much time to do you spend publicizing your blog, and do you think you should spend more or less in the coming year? Gosh, at least 7 or more hours per week, when you count sharing on Facebook, Twitter, and visiting other blogs. I’ve recently been spending less since we got the new puppy. I’d like to spend more, but frankly, I just don’t have any more time to give to it! 7. How do you gauge whether or not what you’re writing is appealing to your audience? Mostly by the number of comments left. How do you know when it’s time to let go of a feature or theme that you’ve been writing about for a while? When I lose interest in it, or get burnt out on the topic. I wrote a series on puppy mills, and it really started to depress me so I had to let it go. 8. When you’re visiting other blogs, what inspires you to comment on a post rather than just reading and moving on? I like to comment as much as I can to show my support to my favorite bloggers. Sometimes I just don’t have the time, or anything intelligent to say so I don’t. If the subject is something I relate to though, I will almost always comment. Did you notice Kobi sleeping in the background of both of the photos? 9. Do you do product reviews and/or giveaways? I’ve started doing some this year, and I’m excited about that. It was one of my original goals to make a little extra money doing this. If so, what do you find works best, and what doesn’t work at all? I find it’s best not to overdo it. Too many obligations start to take the fun out of it for me. 10. When writer’s block strikes and you’re feeling dog-tired, how do you recharge? I’ve been lucky enough not to experience this yet! I actually have the opposite problem…too much I want to write about and not enough time for it all. I’ll often start a This ‘N That Thursday post and have to cut out half of it because I’m trying to cover too much for one post! 11. Have you ever taken a break from your blog? How did that go? I tried to take two short breaks, once when I went on a family vacation, and once when we brought Luke home. I found I could not detach from it completely….I still had to read emails and comments and read other blogs! Have you ever thought about quitting your blog altogether? What makes you stay? In my first year I thought about it many, many times. I felt like no one was reading and no one liked me (I might have a self confidence problem). I read somewhere that the way to make people give a s–t was to just keep writing. So I did. I also had to learn to not compare myself to others. I think I am finally over that hurdle now. I have a very good friend who often encouraged me, and when I seriously thought about quitting, I knew I would miss my blogging friends too much (as well as the actual writing). When I’d be on the edge, someone would leave a very nice comment and that kept me going. 12. What goals do you have for your blog in 2014? I would like to start adding videos. Other than that, I’m pretty happy with where I’m at right now! I signed up to co-host a new hop, and I’m not sure if I’m crazy or not, but it’s something I’ve really wanted to do that I haven’t yet. I just try to cut myself a break especially while Luke is a puppy and I want to focus on him a bit more. I’m thinking unless someone has a whole lot of self confidence, they are going to experience those doubts. I think we also have to have persistence and a don’t give up attitude to survive it! You are so right, Pamela. I think I also really knew that I needed to give it more time, and I am so glad I didn’t listen to that voice also, thank you! Oooh! Can’t wait to see videos! You do SUCH an amazing job with commenting. Every time I click on someone’s blog post, I see your kind, generous comments. I’m always so impressed! I’m really excited to see where you take your blog this year, especially with little Luke as part of your herd now. I appreciate your point re: blog hops, too. I’ve never figured out how to really get involved in the regular ones (versus “occasion” ones like this) but I may have to look into it! Maggie, thank you so much. I enjoy reading other blogs so much, and I just like to show my support. Sometimes I feel like I just can’t get to them all, so it’s nice to hear that you see my comments out there. Some bloggers like to do certain blog hops on a regular basis, but I like to skip around and do different ones. Sometimes I’ll have a post planned and realize that it would fit into a certain hop, so wait and post it at that time too. I think it just helps it to get seen a little more. Those questions are a bit tough but we enjoyed your answers and finding out more about you! They were tough. Thank you so much for reading, Brian! You’re doing a great job, and I am glad I started following you this past year. You have the right idea, just stay on track and it will be awesome! Thank you! I appreciate the support and encouragement more than you can know. I’m glad you didn’t quit – we would miss you. And, not only do we like to hear about the pack – we want to watch Luke grow up! Thank you so much. It’s going to make it more fun to be able to share Luke with everyone! I really love your header, it looks great! I’m with you on loving Blog Hops, they’re so much fun! Thank you! The header was done by Glogirly…I was so glad I chose her to design it for me, because I was so happy with what she came up with. We enjoyed reading your answers. We’re learning that Blog Hops can generate new readers so we’ll try to pawticipate in them more. Thank you! I think you’ll find the Blog Hops are enjoyable too! First, I couldn’t help but notice a certain cute furry face in your sidebar… Thank you so much for promoting Frankie’s Fund! And thanks for taking part in the Challenge. I really enjoyed reading your answers, and especially the last one, about how you contemplated quitting. I for one am glad that you didn’t. You are very welcome, Edie. I am happy to share it….I see you are getting close to your goal, which is great! Thank you so much for saying that, it really makes me feel glad I stuck it out too! Can I join you for weekend play time? Wooooowoooooooo! We’d love for you to, Ku, and there’s plenty of stuffies to go around! Awesome interview and sweet pictures. This is great Jan! I agree with the not-overdoing it on the product reviews… something I have done in the past, and will probably do again… it does keep me busy though, which I like. Thank you, Ann. I like doing the product reviews too…the dogs especially like it when we’re reviewing treats! 🙂 I want to try to do more giveaways also. What a great hop! I participated yesterday and I think its wonderful to get to learn more about your blogging world! You are doing very well! I see you out there all over the place. Everyone loves comments on their blogs. I started out slow because I didn’t do that a lot at first…I didn’t know about blog hops and it took me a while to find the other pet blogs that I could relate to. 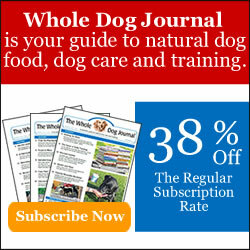 We love reading about your furry family. The first weeks with Bailie were really hard for Mom because Bailie demanded so much of her time, but then she got on our schedule, learned from us to snooze a lot and now we are back to normal. Videos are a good thing to work on. Mom has gone to a couple blog conferences and especially for younger folks, video is where it is at. I’m trying to get Mom to better her editing skills, that is that hardest part. Keep doing what you are doing and everything will grow…we were stuck at 49 fb fans for over a month at one point and a handful of blog followers, Mom wanted to quit, but we kept going and it it like a snowball, the bigger it gets, the bigger it gets. Thank you, Emma! Your comment is the perfect example of the support and encouragement that I need so much! I think Luke is already starting to adjust to the other dogs’ schedules, like you said, and that things will settle into a routine soon. I do think blogging is like a business….it really takes time to build it and make it successful.